Make no mistake, turning a profit online is different from earning an active income. Your active income is your 9 to 5 job. You engage in earning an active income when you trade your time for money. If you don't show up for your job every day you won't get paid. If you don't show up on time repeatedly, the chances of keeping your job dip to the “slim to none” level. That's how active income works. Making an active income is like being a chicken; if you've ever seen a chicken eat, you probably notice that it scratches the ground, looks for a morsel, and then pecks. It scratches then eats. If it stops scratching it doesn’t eat. The logic and the events are straightforward and simple. This same straightforward and simple concept applies to the typical 9 to 5 workweek job – no work equals no pay. This is the repeated concept of trading time for money. Time is the biggest factor here. Within any block of time you produce work. You produce some sort of outcome. This is a totally different dynamic when compares to earning a passive income. When it comes to making money online active income is completely different. Fundamentally, you simply don’t trade your time for money. If you earn money online, you earn it wherever you are. What if I told you there are many people earning six figures incomes year after year, jumping from city to city and country to country? If you need proof of this, look up Brian Dean. Brian used to live in Asia, now he's living in Europe, and he’s lived all points in between. And the best part to all of this is that as you earn your income you also begin to broaden your horizons and grow personally by discovering the soul-uplifting value that travel affords. You're able to travel if you make money online. You can't do that with an active income because you need to be physically present at your job site. Additionally, you can't make money on autopilot if you are choosing to make a “traditional”, active income. That's just not going to happen. You have to show up. If you don't show up, you don't earn money for that day. This isn’t so when you begin making money online. Online passive income systems can be set up so that they are always generating money. For example, when people show up at your website, they have the option of purchasing merchandise which earns you money without the hassle or fuss of paying a cashier or the time it would take you to ring up a purchase yourself. In this way, simply saving money is equivalent to earning money. Making money online enables you to scale your income higher over a shorter period. One way in which you can easily scale up both your income and your business is by engaging in automation. This passive income technique is not available to people who earn an active income. How do you escape the strategic disadvantage of earning active income? The answer is simple! Make money online through affiliate marketing. Affiliate marketing refers to the practice of selling others’ products or services through your own websites, online properties and domains, or your online traffic generation. Affiliate marketing is no more and no less than that! When you design your affiliate marketing strategy you can then automate it and scale it. This means that you can set up thousands of websites, each making a dollar a day, and you can still make a decent income at the end of the month, or you can build one website making tens of thousands of dollars every single month. The beauty is that it is your choice. You can automate so that you don't have to be physically present while your website to closes deals to make money. You can also scale up the number of websites you own or scale up your websites’ offerings so that you make more money with each online property. Here's a quick recap of affiliate marketing and its basic concepts. 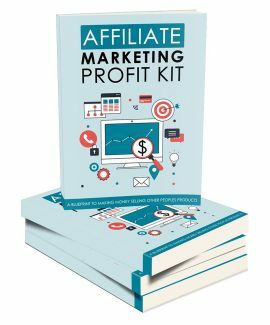 It is important to understand affiliate marketing so that you may become successful when using it as a practical part of your online business or service. You don't have to be a technical expert in the field of affiliate marketing to reap the benefits of it. However, it is essential that you understand of the basic concepts so that you know what to do, when to do it, and why to do it so that you produce the expected outcome. Your aim should be to understand how affiliate marketing works just as you would aim to understand how a hammer works when you are hanging a picture. So, how exactly does affiliate marketing work? First, it begins with a product seller. A product seller is person who has a product but doesn’t know how to drive traffic to their product or how to convert traffic into actual profit. This person integrates (hyperlinks or banner ads) an affiliate program using a special software. This person's website has a link to an affiliate program that is set up using specialized tracking software. Alternatively, this person could sign up with an affiliate network. An affiliate network is a special platform where the network owners recruit both product sellers and affiliate publishers. Affiliate publishers are individuals who sign up with affiliate programs to obtain affiliate links. Then, the affiliate publishers publish varying types of webpages with varying content to drive traffic to those pages. When driven traffic clicks on affiliate links, the affiliate network pays the affiliate publisher a commission. Similarly, this process can work with an affiliate program set up directly by the product seller. The affiliate either advertises a link that drives traffic to it’s content or uses its own website as a “through-way” to make money via earned commissions. When a product seller begins using an affiliate network it is important that the network drive traffic to the product seller’s product. Both the affiliate as well as the product seller should benefit from the partnership. Without an affiliate program, a product seller becomes limited in their ability to drive traffic. Conversely, without product sellers, affiliates have nothing to promote and therefore nothing from which to gain a commission. Although affiliate marketing does offer many benefits it is not an effective strategy when used alone. Also, there are four problems with affiliate marketing that you should both be aware of and address when developing your own business or personal marketing strategy. To begin, many products or courses claim to have a proven formula for making YOU money. Many of these do address affiliate marketing by claiming that the course will coach you as you learn the details of affiliate marketing. Most of these courses are written by individuals who are paid only to write, but not to research or understand the content about which they are writing. Many of these authors use the copy and paste method to repackage old, outdated, or even incorrect data then resell this same material time and time again. It is important that the reader of these types of repackaged information and gimmicks be savvy to the ways in which to avoid them! First, the reader should find whether or not the author has a proven sales record, good and unbiased reviews of products or courses, and a thorough personal understanding of any topic about which the author is writing. A second problem that the affiliate marketing sector faces are “unactionable ideas”. It is common for an affiliate marketer to propose a marketing idea that seems clever, user-friendly, and lucrative but is nothing more than raves and banter about “creating hype” or “pursuing unlimited possibilities”.